Sometimes pressure washing is the best and most efficient way to clean an area, and when you are in need of this service you’ll find that J & J Window Wash are the best and most efficient company to do it for you. If you take a look at some of our reviews, you’ll find that we have done this kind of service for many of our clients, and that they all have great things to say about how good we are. Pressure washing can be used for a lot of things. It can get rid of mud, dust, dirt, and grime. You can use it to get rid of mold, and it helps remove loose paint as well. That means graffiti may not be as serious a problem as you may have feared, that is, if you hire us instead of our competitors. The force of the water spray can be used on a wide variety of surfaces. You can use it to clean your concrete sidewalk, or the sides of your building. You can even use it to clean a vehicle more thoroughly than with a bucket of water or a garden hose. If there’s a surface which you think needs extra strong cleaning, whether a wall, a patio, or a sidewalk, then you can just call us and we can take care of the problem for you. One of the best things about our services is that our pricing is very compettive. We’ll be able to fit your needs and your budget limitations. J & J Window Wash is committed to serving the needs of everyone, from small homes to huge business enterprises, and we offer the right pricing to make that happen. Even if you don’t have to pay a lot, you get to tap our vast knowledge and the use of our equipment for pressure washing. We know when to use cold water, and we can also use hot water for some really stubborn stains that won’t be eliminated any other way. With our highly advanced equipment, we can clean anything! We use hot and cold water, and we can actually reclaim all the water we used for your project. We have a new and advanced ECOS unit for that, and it uses a 4-stage filtration system. The water is then recovered and cleaned so that they can be reused. The EPA has regulations and standards that apply to power (or pressure) washing and reclamation, and our ECOS unit exceeds those requirements by a wide margin. When it comes to compliance with these regulations, we’ve got it covered. You can’t say that for a lot of our competitors. Quite a few of my clients are fascinated when I use my pressure washing equipment. They also tend to ask a lot of questions, which I actually love answering. The most common questions involve how to keep oil stains off the driveway. They want to know because, even though our rates are the best, many people think it’s better if they don’t have to use the service as often. Now that their driveway is nice and clean, my clients often want to know how they can keep it that way for a longer period of time. Of course, I usually give the two most effective solutions for this scenario. The first one involves fixing the car. Oils stains are almost always caused by a car that leaks oil. Have that oil leak fixed, and then you won’t have to invest in cleaning services as often. The oil stays where it belongs, and that is off your drive way. The other solution is to seal your drive way. Once the oil is gone, it’ll look nice, and you’ll want to keep it that way. You can then seal the driveway using a sealant. There are two kinds, the flat look sealant and the wet look sealant. We can provide this service for you no problem, but take note that not every company can do so. It can cost anywhere from $500 to $1000 and will depend on how much square footage we are dealing with, and also on the type of surface. In general, though, our price will be lower than anyone else who can offer the same level (or at least come close) to the quality of service we provide. For more tips about, check out our blog. 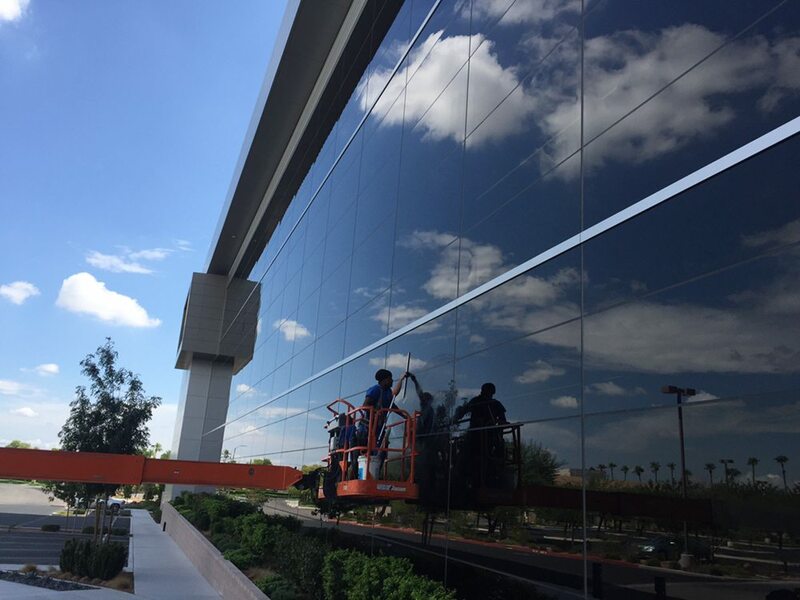 You can easily find out how much we charge by calling us at 702-274-8128 when you find yourself in some need of a power washing service. We can then give you an estimate of the cost and it’s absolutely free.